The Federal Point Historic Preservation Society will hold its monthly meeting on Monday, April 20, 7:30 pm at the Federal Point History Center, 1121-A North Lake Park Blvd., adjacent to Carolina Beach Town Hall. The Federal Point Historic Preservation Society welcomes two local novelists to their April 20th meeting. 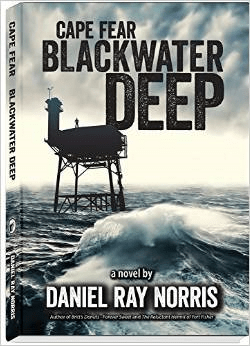 Daniel Norris, well-known to our local literary community as an author and publisher of numerous non-fiction books, has written his first novel, Cape Fear Blackwater Deep. 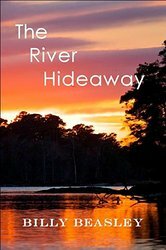 Carolina Beach native Billy Beasley will also speak about his novel, The River Hideaway. The meeting begins at 7:30 at the Federal Point History Center, 1121-A N. Lake Park Blvd., Carolina Beach and is open to the general public. Both authors’ books will be available for purchase and signing by the authors. 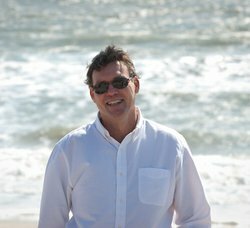 President of SlapDash Publishing, Daniel Norris has designed and authored two books about the good ol’ days at Carolina Beach and now designs, writes and publishes books on local history. He is an avid photographer, graphic designer, biology teacher and videographer. 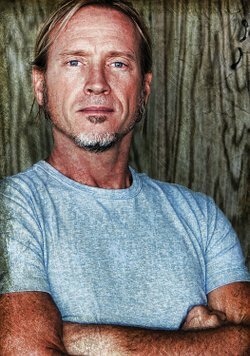 Daniel was born in Wilmington, NC and raised in Carolina Beach and Teachey, NC. He is a direct descendant of Blackbeard and struggles daily not to wreak havoc among the southward sailing vessels that ply the Intracoastal Waterway behind his house.